icon_vacationagent Javier Monje discusses what’s on the horizon for RIU and how to profit from selling its all-inclusive resorts. Founded more than 60 years ago in Mallorca, Spain, today RIU Hotels & Resorts operates more than 100 properties in 19 countries. Its portfolio is highlighted by a growing collection of upscale, all-inclusive resort set in prime beach destinations across the world. Javier Monje, sales director for the Mexican-Caribbean region, knows that innovation is the key to grabbing an agent’s attention in the competitive world of all-inclusive resorts. In an interview with Vacation Agent, Monje discussed what agents can expect from the company in the foreseeable future, and how they can make money on RIU’s resort offerings. Tell us what the buzz is all about in regard to the new Costa Mujeres resort in Mexico, and what type of clientele agents should be targeting to sell it. 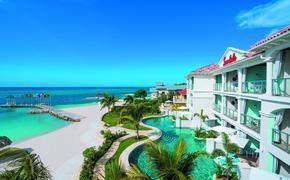 Riu Palace Costa Mujeres, the second RIU hotel situated in Costa Mujeres, will open on [Nov. 17] this year. It is our 24th all-inclusive hotel and has 670 rooms. The Riu Palace Costa Mujeres will be right next to the Riu Dunamar and will share the Splash Water World waterpark. This is a more upscale product and targets more affluent guests. Riu Costa Mujeres is also close enough to Cancun [for guests to visit its shops and restaurants]. But thanks to its privileged and exclusive location, it is an idyllic place for relaxation and tranquility. You mentioned that RIU Palace Costa Mujeres is the second RIU property in Costa Mujeres. Can you tell us about the first property to open there—and what types of clients agents should consider pitching it to? 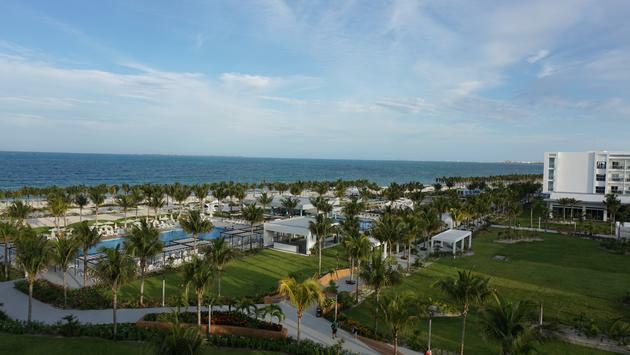 Riu Dunamar opened in December 2017 in Costa Mujeres, offering 740 guestrooms. The hotel provides a wide range of services and amenities for clients of all ages. The resort’s gastronomic options include the main restaurant and four themed restaurants. Guests can also enjoy four large swimming pools, Splash Water World, the RiuLand Kids´ Club and the Riu Fit program. We consider it an ideal hotel for family getaways. The high season starts on Dec. 23 and runs through April 30. It is important to note that during July and August the hotel is at high occupancy. How important is it for RIU to continue to reinvent innovate in order to compete with all-inclusive companies in Mexico, Latin America and the Caribbean? Our goal is to continue [to cater to the vacation preferences] of our customers. And this changes constantly—and they expect us to continually innovate and upgrade our facilities. This is why we are developing a project to completely renovate all of our hotels. In fact, in the Mexican-Caribbean region, all of the hotels are either new or have been recently renovated. In addition to this, we have decided to introduce new services, like Splash Water World and the Riu Pool Party in order to offer new, fun entertainment options. We are also continuing to segment our hotel offerings between our most sophisticated [category], Riu Palace, and our Classic line of hotels, which are [more family oriented]. Why should an agent book an RIU hotel? Are there additional incentives beyond standard commissions? Does RIU have any tools to teach agents more about the company? We do offer special rates for agents through the Riu Partner Club, RIU’s loyalty club, which was created in 1992 for travel agencies. One of RIU’s main goals is to provide the best training for travel agents and invite them to get to know the product by earning points with every booking, which they can exchange for free stays at our resorts. We believe experiencing RIU properties first-hand is the best way to enable travel agents to recommend the hotels that best meet customers’ expectations. Our Riu Specialist program is available for agents who want to learn about our hotels and destinations, and of course, about Costa Mujeres as well. [Graduate benefits] include Rui Specialist certificates, which provide additional advantages for travel agents, such as 2,300 Riu Partner Club points that can be used to visit any of our hotels. These points [can earn] agents stays of up to two nights at the Riu Dunamar. Can you give us a summary of some other new properties that fans of RIU can expect? New projects located in the Americas include the Hotel Riu Tequila, which reopened June 30 in Playa del Carmen after an extensive refurbishment; and [a new amenity is] the Riu Pool Party, which is part of the renovations at Riu Santa Fe in Cabo San Lucas, which has 288 new rooms and three new annexed buildings with three floors that opened on April 21. The Riu Palace Tropical Bay in Negril, Jamaica, is being completely refurbished and is [scheduled to] reopen on October 20. Riu Palace Baja California in Cabo San Lucas will open on December 1 of this year. A version of this article appears in print in the October 2018 issue of Vacation Agent Magazine.